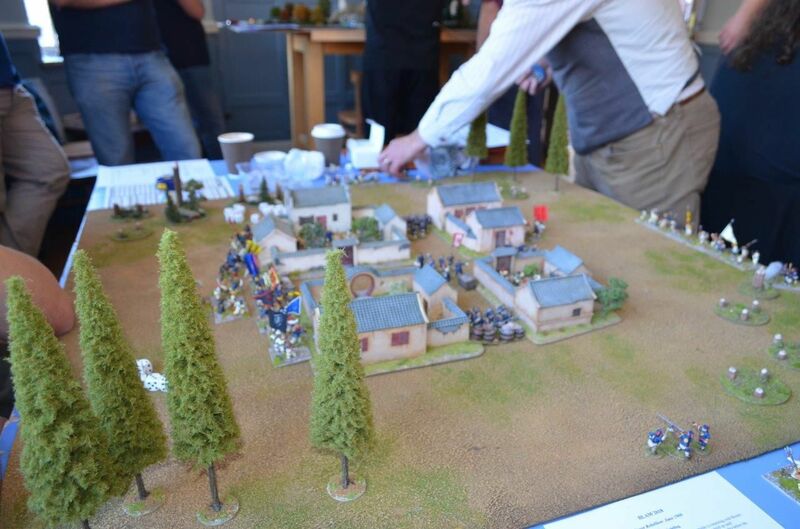 So last weekend 30 wargamers descended on my local boozer for a three day binge of wargaming, and I am delighted to report that the 11th BLAM was a total success. 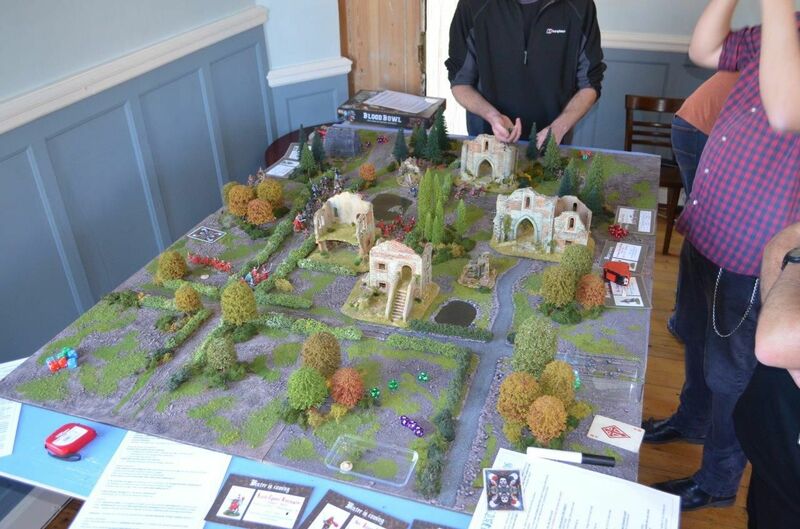 The three days of gaming in the pub's small function room saw a total of 13 games hosted. These ranged across a wide set of periods and genre’s. 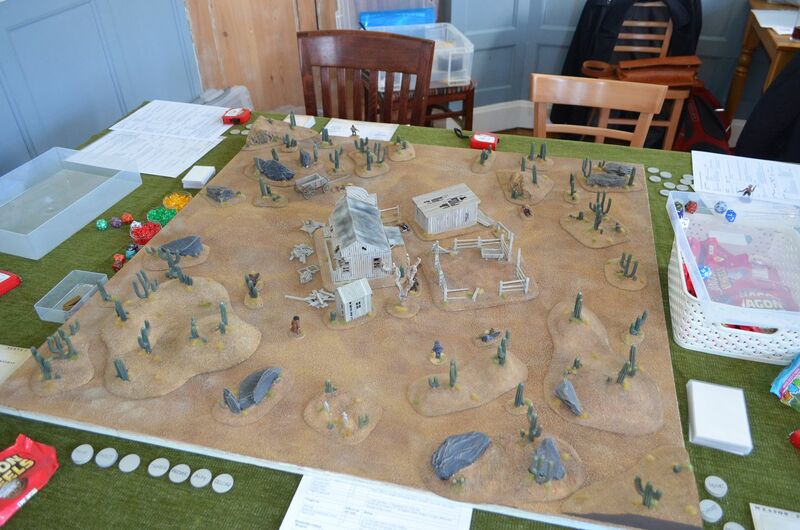 Where else in the wargaming world can you play Judge Dredd in the morning, Custer in the early afternoon and a leading Columbian Drug dealer at the end of the day. If you want to fight Spanish guerilla’s, blood soaked zombies or axe armed men at arms BLAM offered it all. 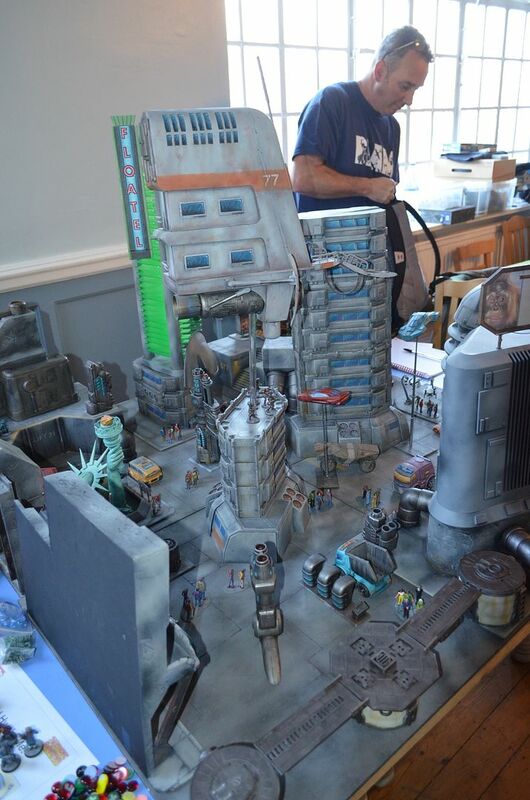 A massive thank you to all those that helped to organize, hosted games, or just took part in this gaming extravaganza. 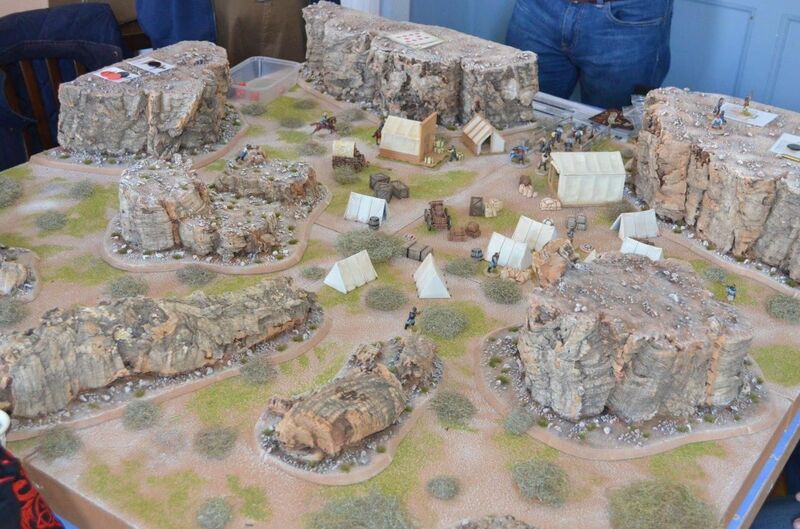 For those of you not familiar with the concept of BLAM this started off life on the Lead Adventurer Forum. 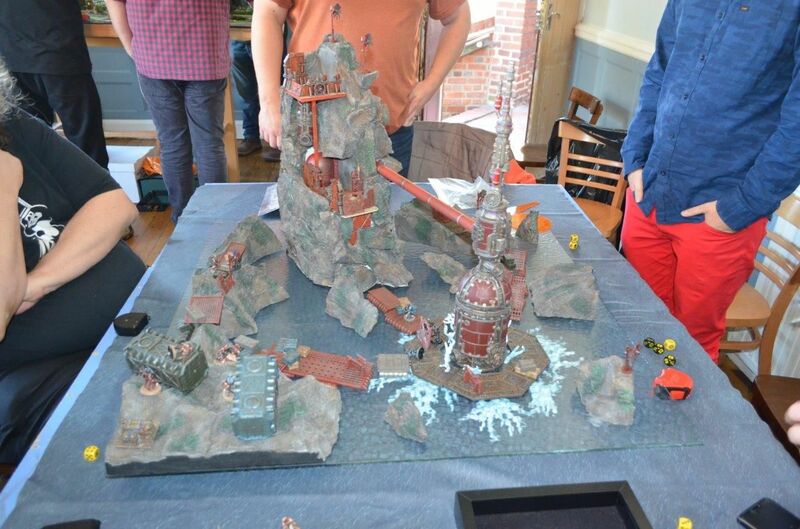 This is an annual meet of gamers who share the same passion for great terrain, figures and games. 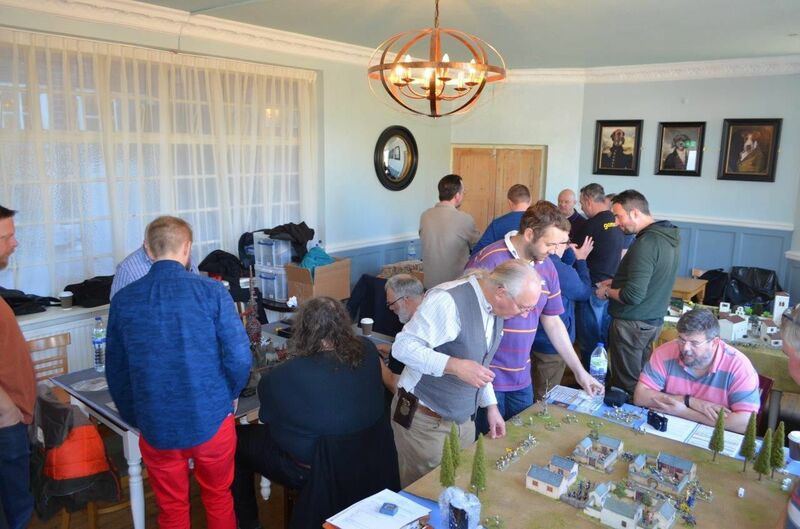 All the participants are regular visitors to this most excellent forum and over the years several great friendships have been established, battles fought and hobby experiences shared. 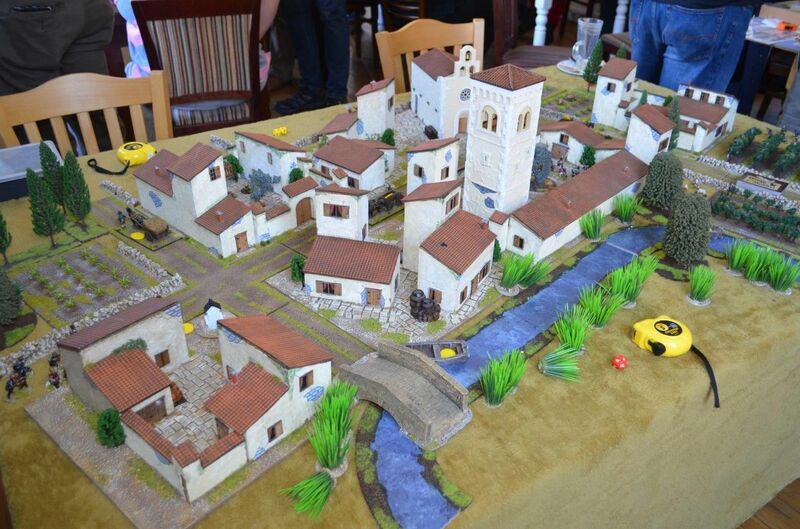 It is most definitely one of my highlights of a wargaming year. The LAF is a most definitely international forum and not surprisingly this year’s visitors to BLAM were a very international bunch. Guests arrived from Ireland, Wales, Scotland, Denmark, Sweden and Germany. We even had a guest from the States this year. 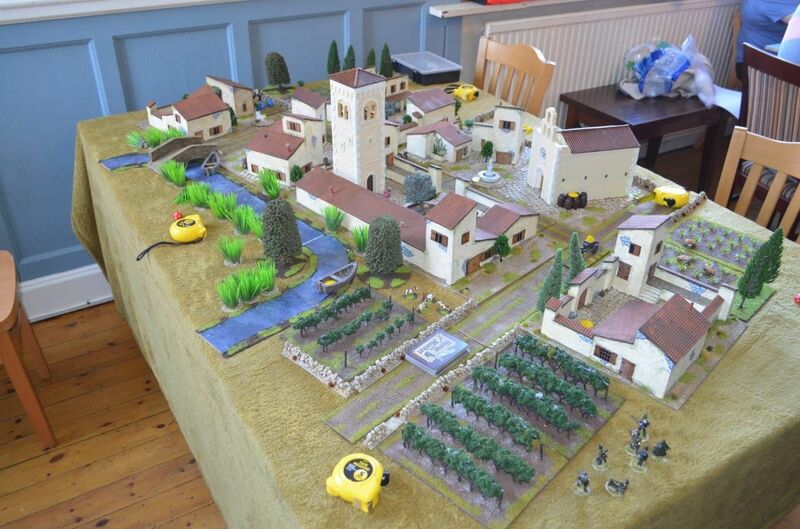 The following photos are taken from the games being played – some of these were absolutely outstanding beautiful..
As followers to this blog know that once a year I help organize a wargames event called BLAM. This is a small get together of around thirty like minded souls who have met through the Lead Adventure Forum. 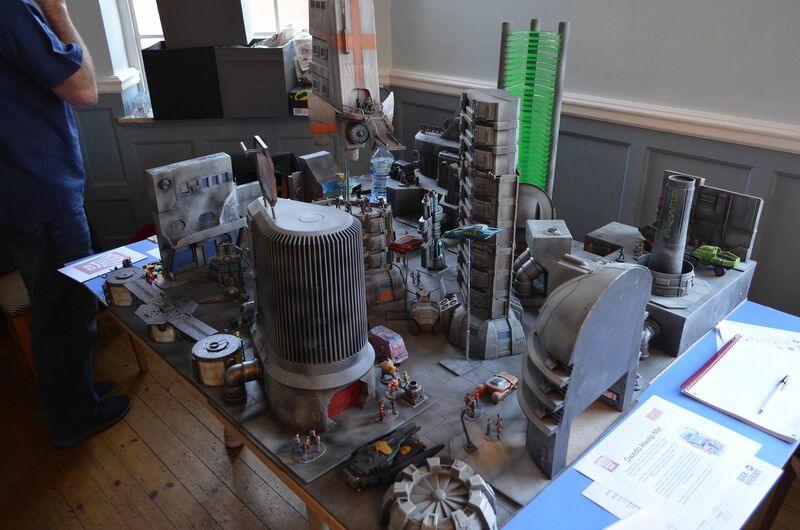 The event has now been running for 11 years and for the last five I have had the pleasure of hosting this in my local Pub in south west London. 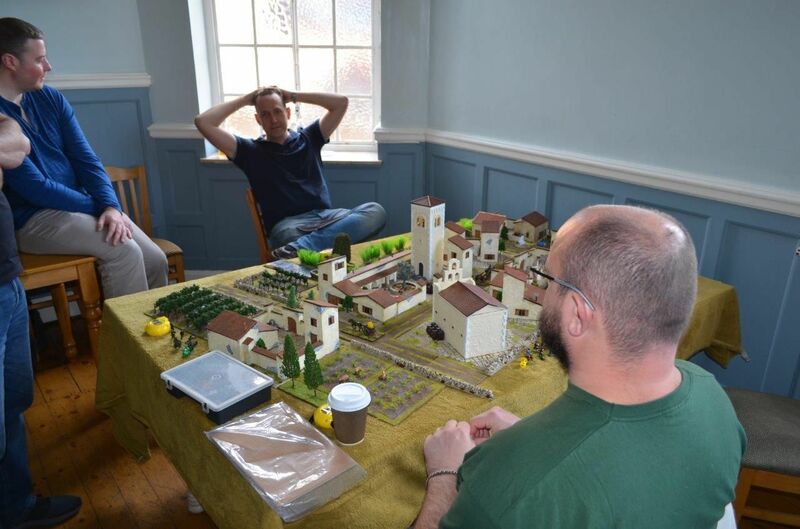 As the event draws closer the organisers ask for the attendees to consider whether they will be able to host and run games. 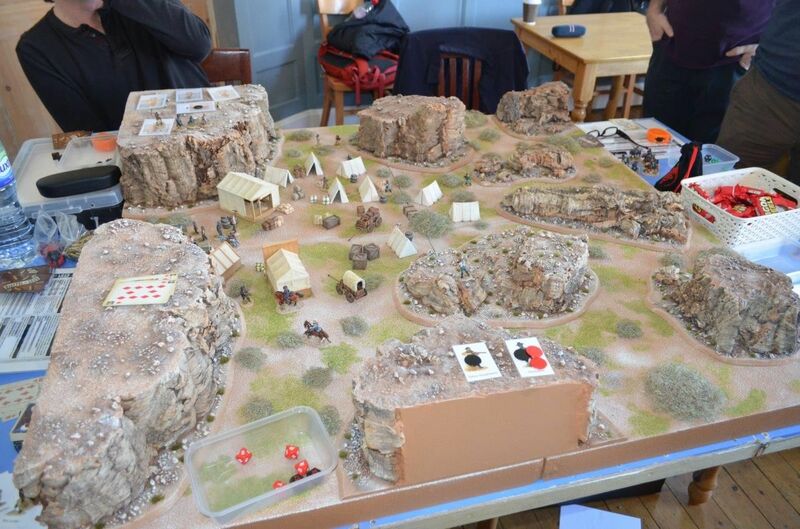 For my sins I have agreed to run an adventure for Sharpe in the Peninsular war on the Friday and on the Sunday I am running a rather large Colonial game set in the Sudan. 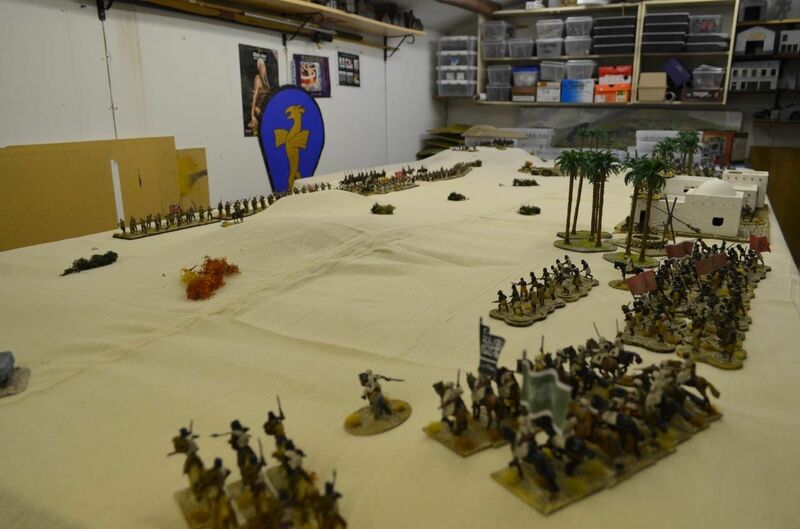 A full description on the event will follow in a future post as will my Sharpe game but this post is going to focus on last night’s playtest of the Sudan game in the shed. Onto the game itself. This was going to be a straightforward simple affair. 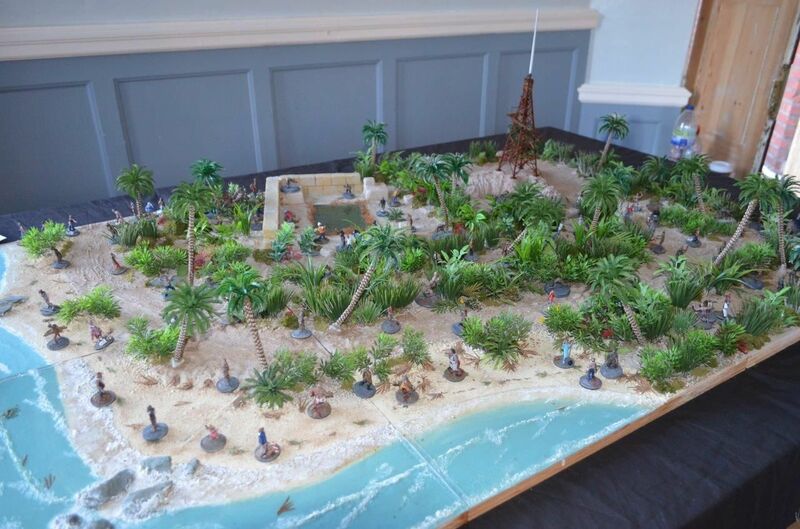 The British and allied forces have been instructed to clear the Mahdists from the small village of El Gabbas, arrayed in front of them is a sizeable Dervish host. 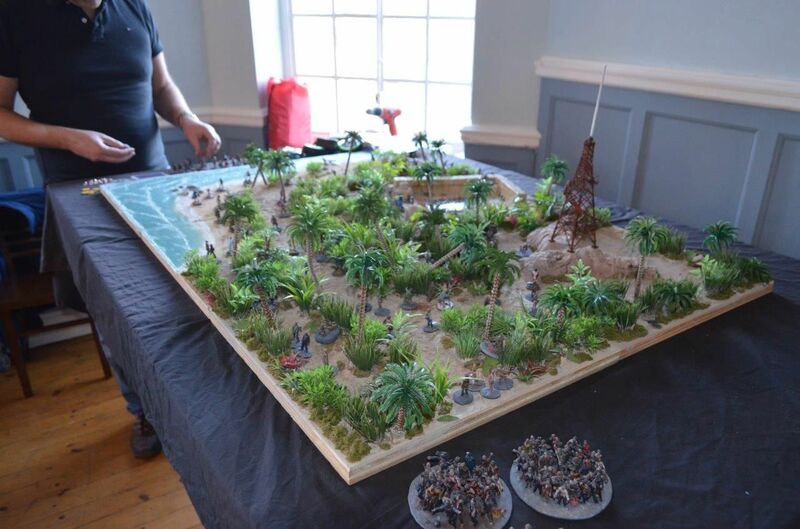 The game objectives were simple for one side to break the other (the losing side would need to lose 50% plus of its forces – either driven from the table or in a shaken state at the end of the turn. 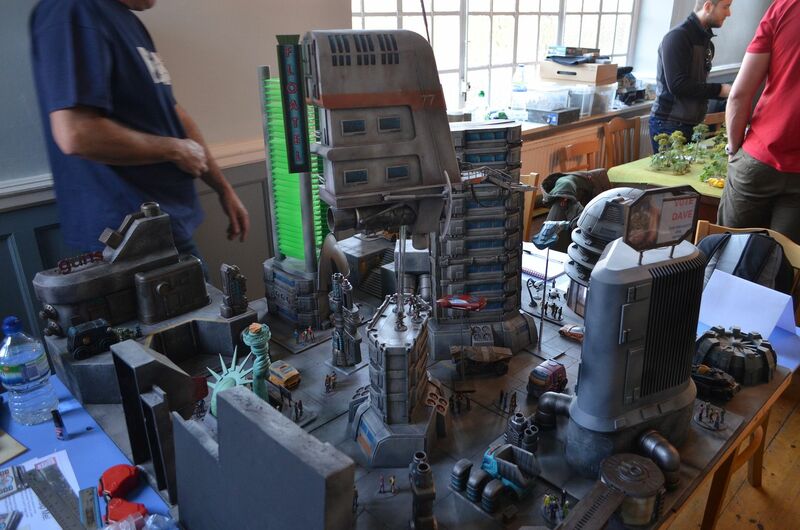 Any unit forced off the table in retreat could not re-enter. 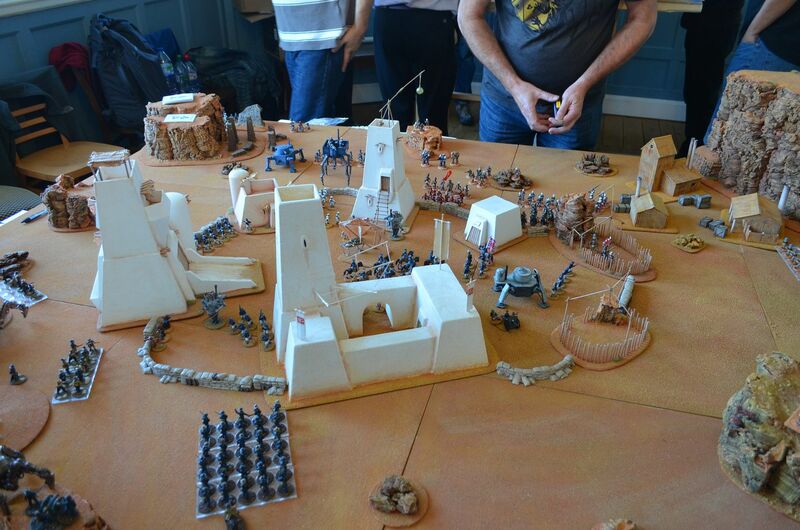 This was very much a playtest to see if the forces deployed were a match for each other – after all there is no point in hosting a game if one side has little or no chance of defeating the other. Mark elected to play the Dervish and I would play the Brits. Certainly from my perspective the hordes of natives looked very imposing and I was seriously thinking that thinking that I was going to get spanked big time. 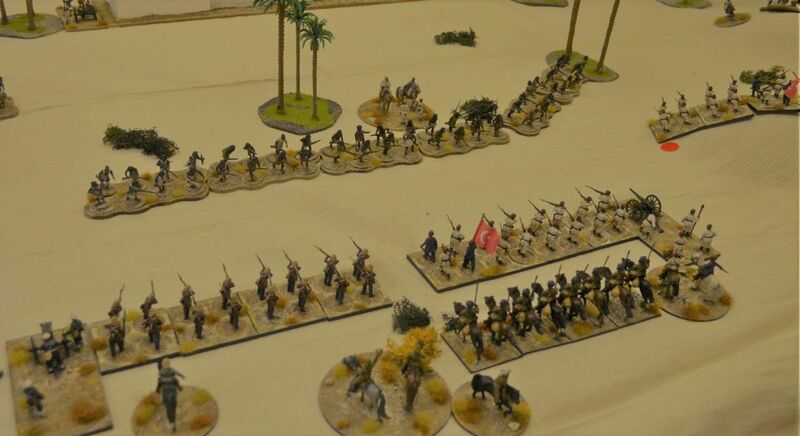 The Mahdist forces kicked off proceedings and elected to advance on both flanks – this they achieved with some success on their right flank with the cavalry but their left refused to budge. 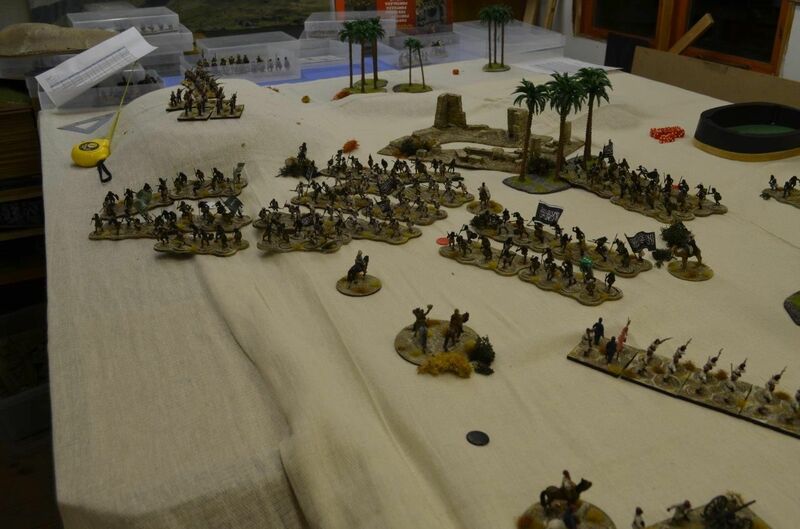 BY the end of the Dervish turn a few forces had edged forward but remained out of range. Time for the British. 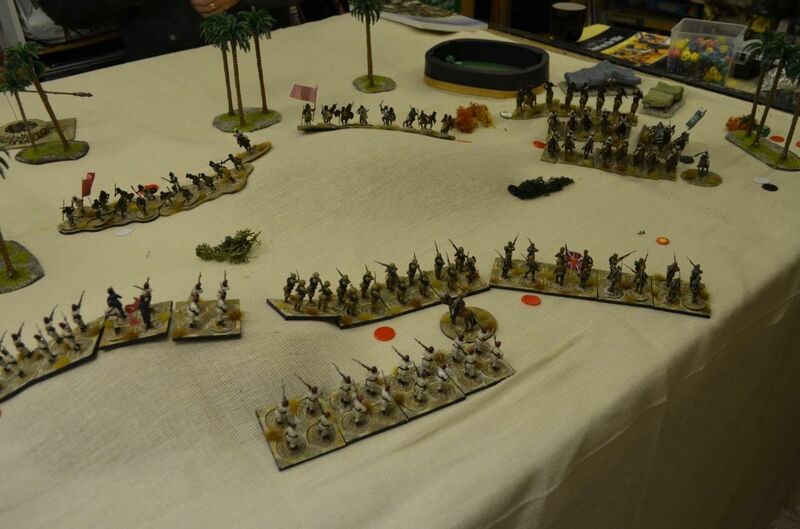 With my Lancers out of position in the centre I elected to swing thee towards my right flank. 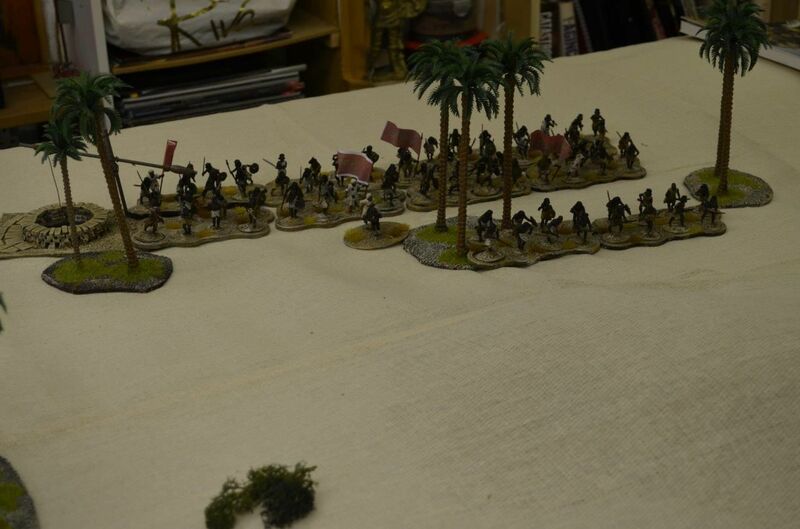 The rest of the force would hold awaiting the Dervish to advance onto my nice neat lines of infantry. 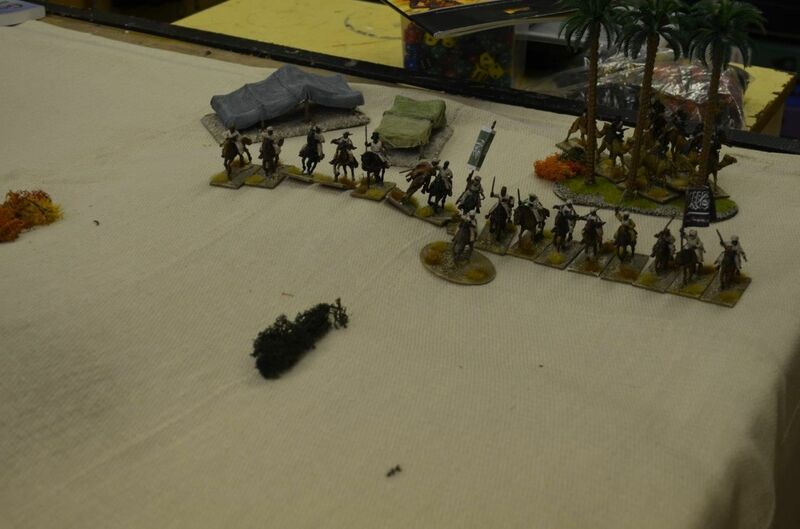 The Lancers rolled their command and blundered. 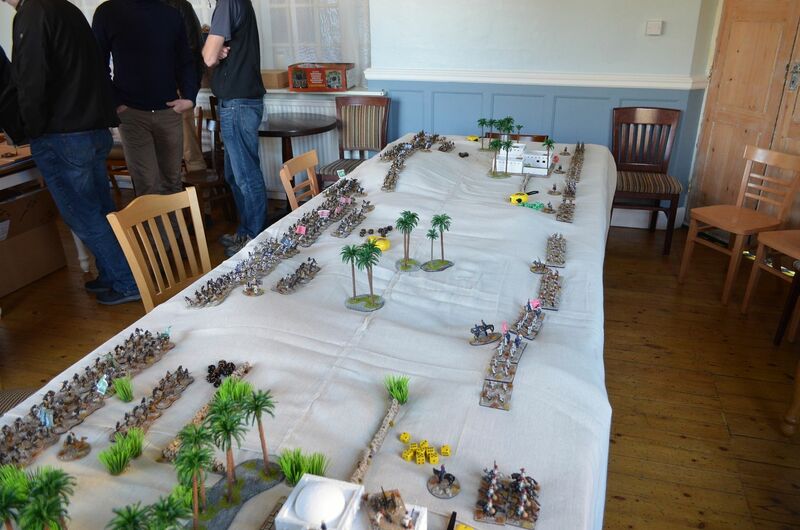 It got worse as the horse charged through my ranks and straight up the table finishing their turn a few inches from the defended village. 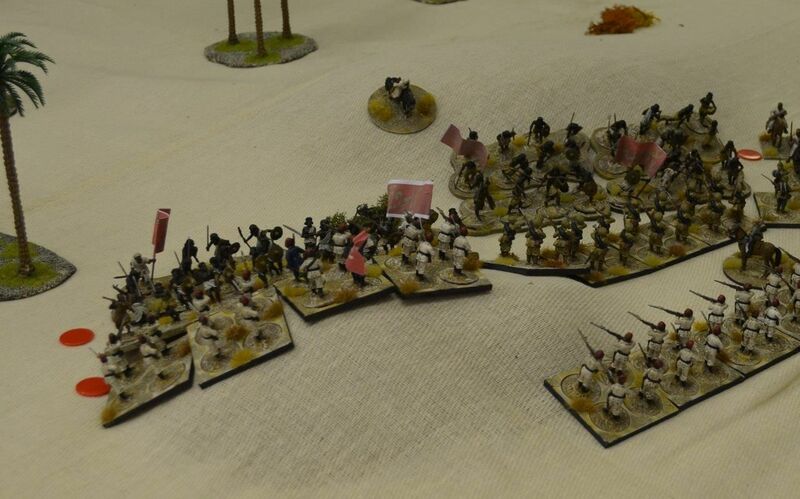 A rather poor start for the British – the sense of foreboding got worse when the Dervish left flank advanced on mass behind the dunes and their cavalry positioned themselves for a charge into my flank. Meanwhile it was all quiet on the other end of the field. Somewhat nervously the horde advanced forward slowly. 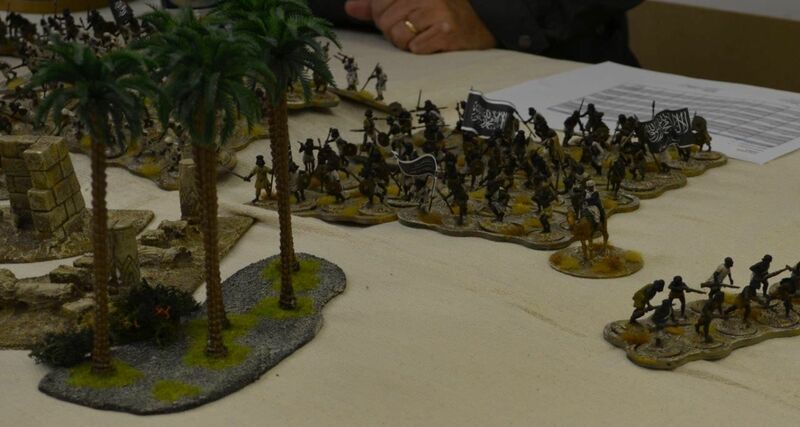 It was now time for the Dervish village defenders (armed with rifles) to pour fire into the lost lancers, a rather neat enfilade fire adding to the Indian woes. Rifles spat the lead bullets and several horse were dropped – the resulting fire driving the Sikhs back shaken and disordered. 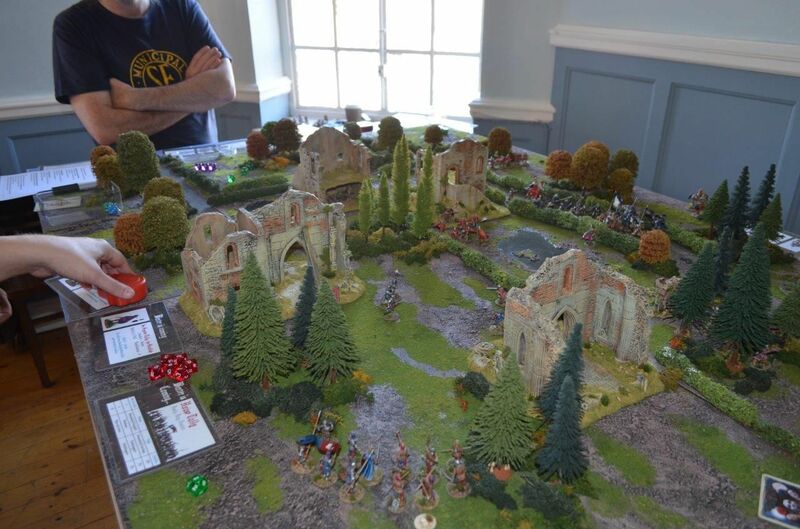 These brave but gallant fellows were able to retreat back to their lines in the coming turns and were rallied to play a part later in the game. So although first blood was drawn the natives couldn’t capitalize. The steadfast British troops waited patiently. A few rounds of artillery fire found targets but inflicted minor damage. Once more the natives took their turn and rushed the British and Allied lines on the right flank. 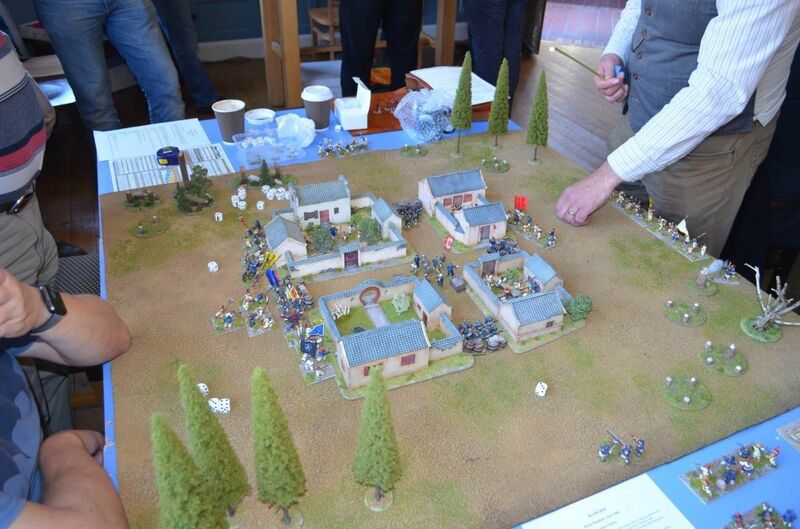 Cavalry and Fanatic tribesmen crashed towards the British lines – closing fire was given shattering the charge. 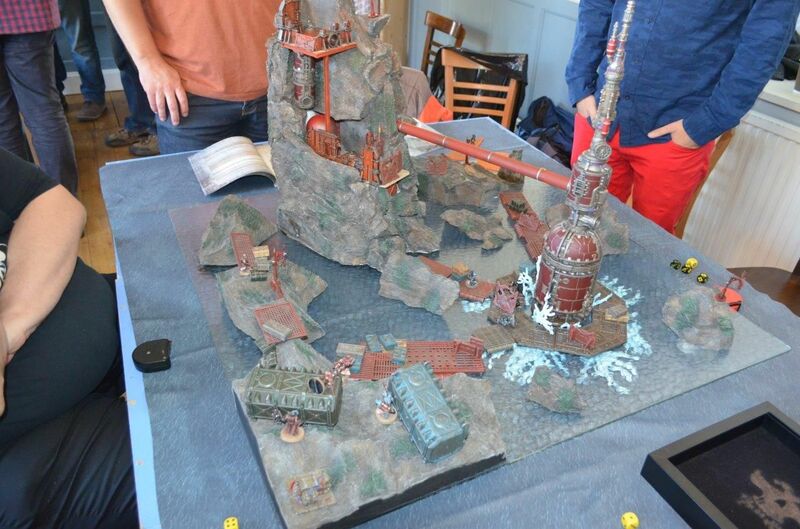 Two warbands disordered yet still potent hit the British lines. 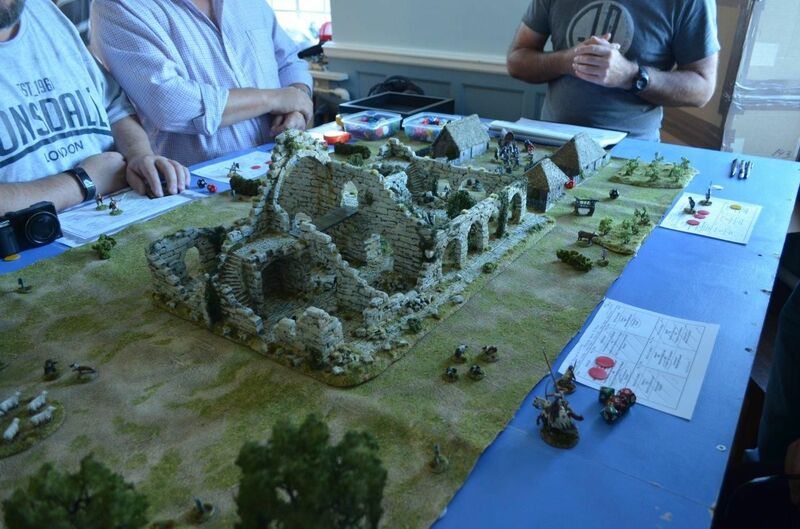 The melee was furious with the terrifying charge bonus awarded to the Dervish utmost in my mind (not only do these fanatics cause their opponents to take an immediate break test but they also get to reroll all their missed combat dice. Both sides fought bravely but only by dint of the shock inflicted by the closing fire did the British hold off this first wave. 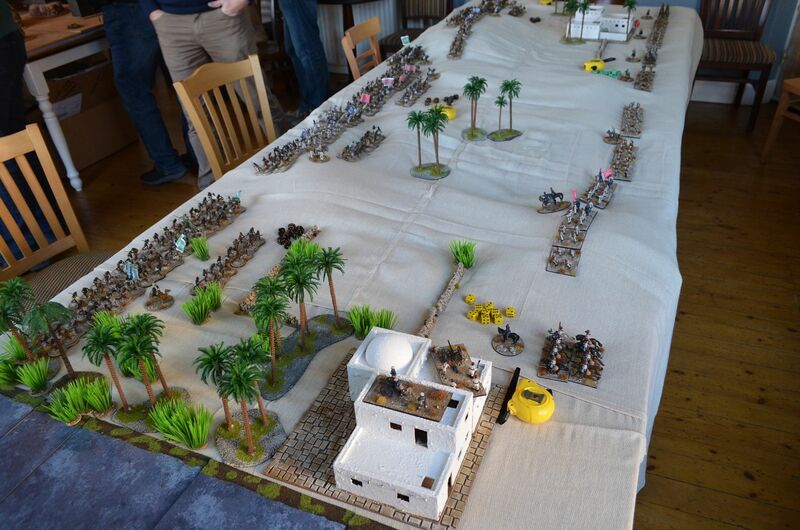 By now the Mahdist right flank had moved forward, now threatening the British left. 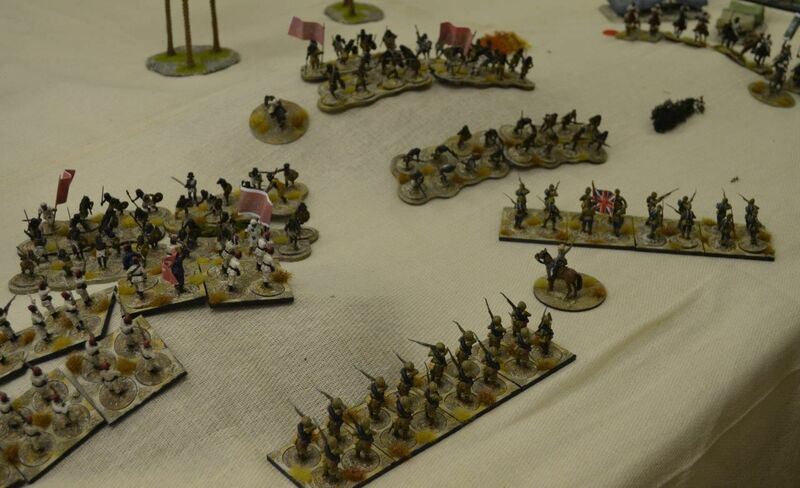 It was time to unleash the British cavalry. 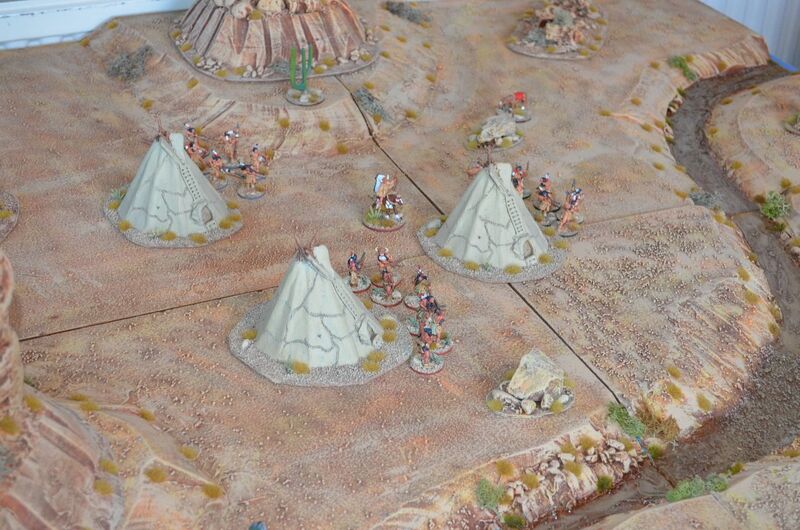 Sweeping down off the hill they charged into the massed native horde. Nine attacks needing 3’s to hit. I rolled the dice – every one missed. The Dervish didn’t. 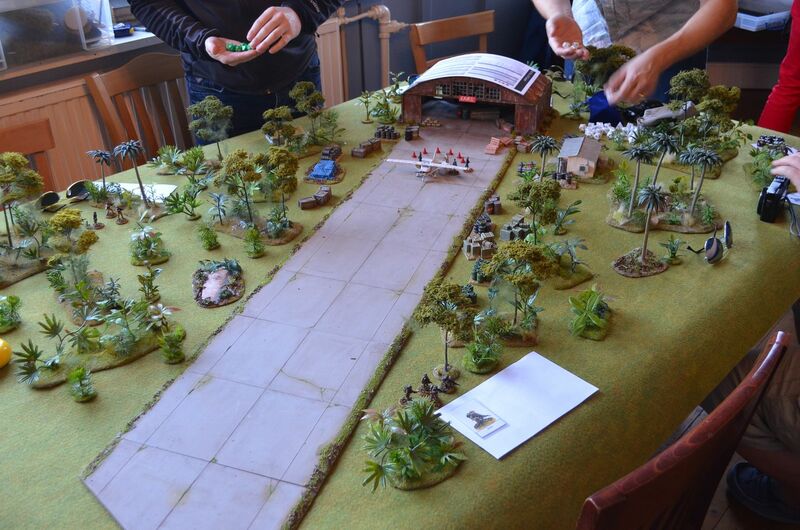 Their numbers counted and swiftly put the Hussars into flight and off the table. 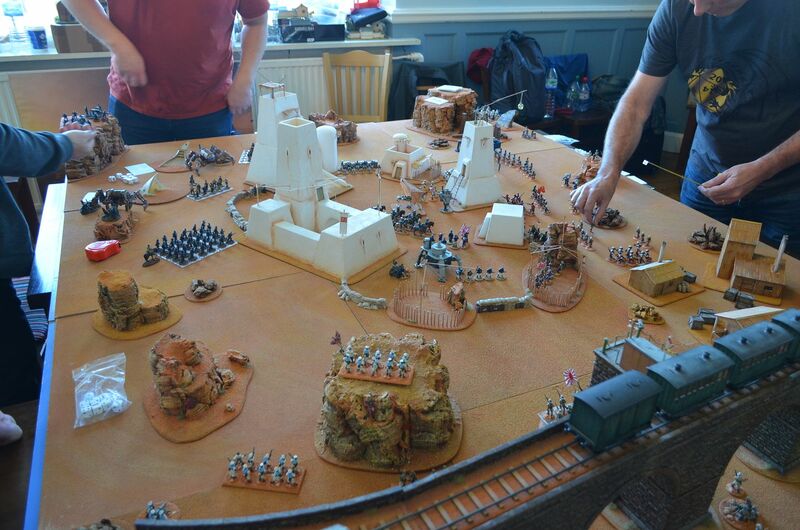 Things were looking desperate on the left for the British – 12 warbands heading their way and only two companies and a maxim gun in their way. The Maxim opened up dropping several of the fellows in front of them – then the gun jammed ! 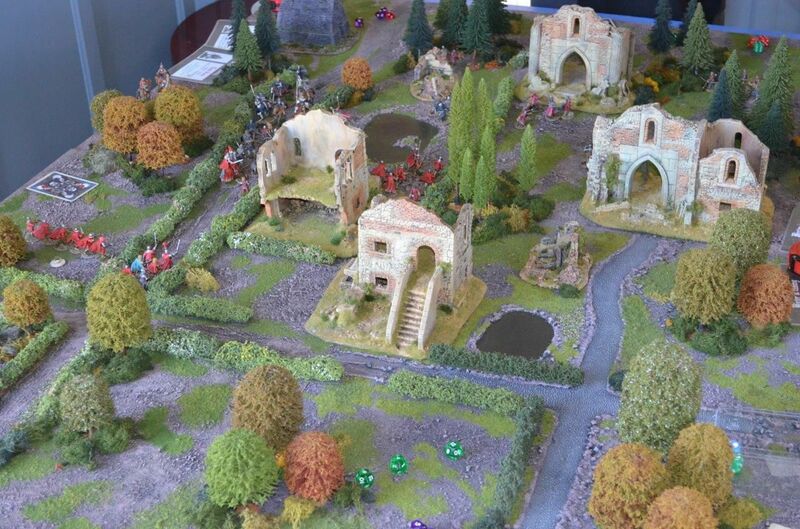 The stalwart Scots opened up sending a crashing volley into the nearest horde – driving the fuzzies into oblivion. 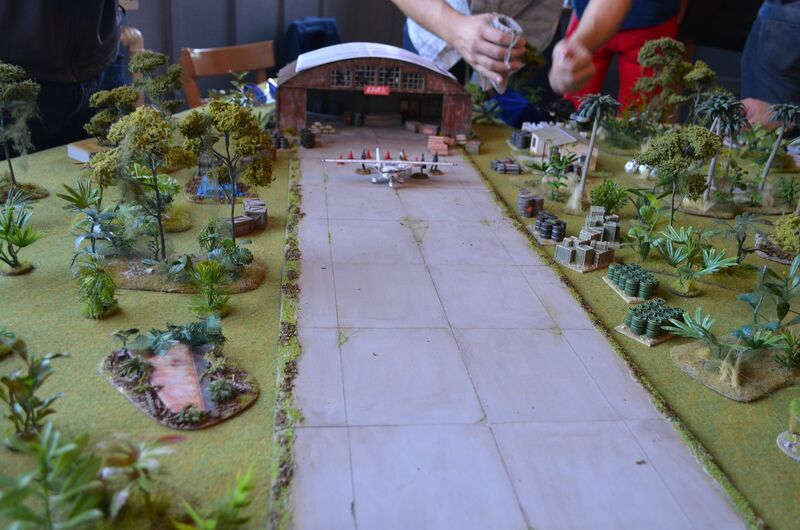 The second company opened fire dropping a few more but could not stop the advance. 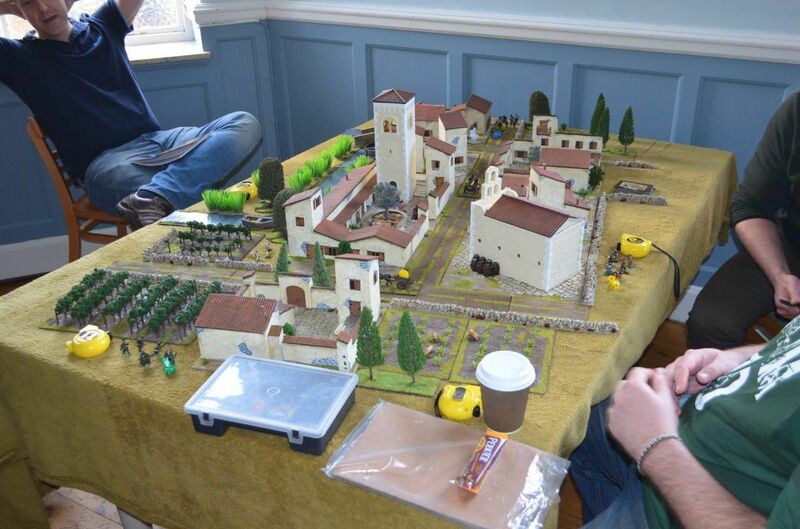 Time for a breather and a cup of tea..
My British forces were in a dreadful state on the left but my right flank was secure. My centre remained untouched. The Dervishes had suffered plenty and were well on their way to losing almost a third of their forces. This was going to be tight. 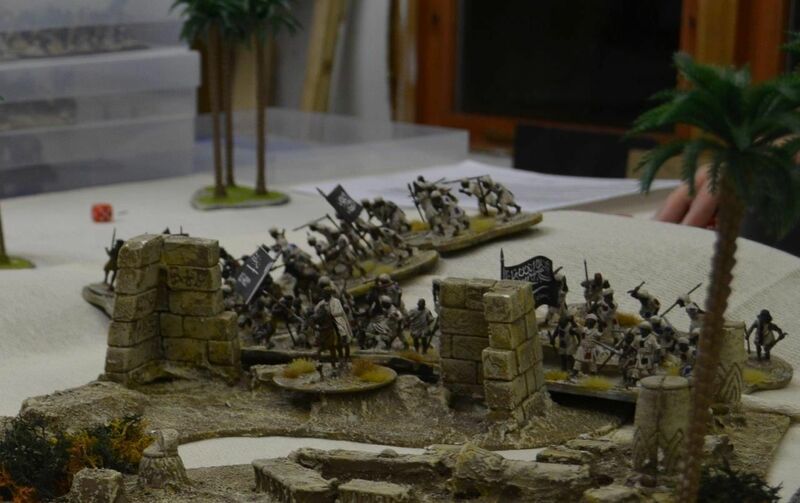 The Right flank of the British quickly sorted out the remaining dervishes in front of them – scattering the last few tribesmen into the dunes in a state of despair and confusion. 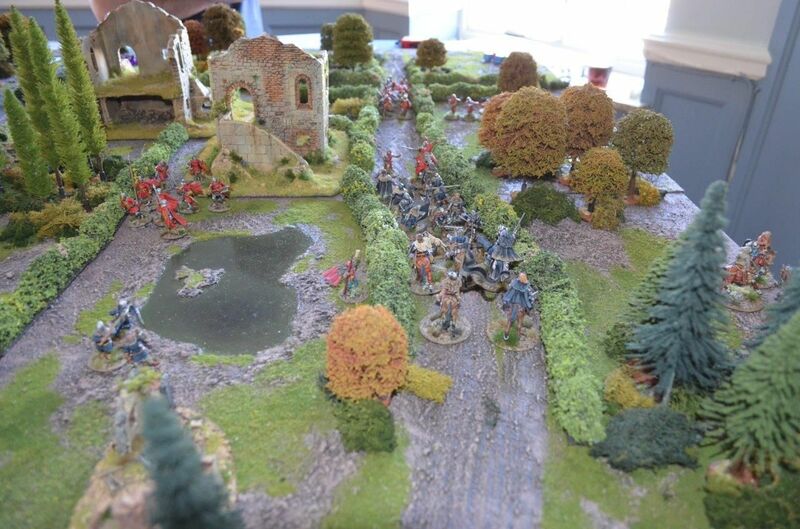 The British left was another matter – the Maxim and artillery gun were steamrollered by the advancing horde and a British infantry company fell to the spears. Only the stalwart scots held the left – but this didn’t last long. 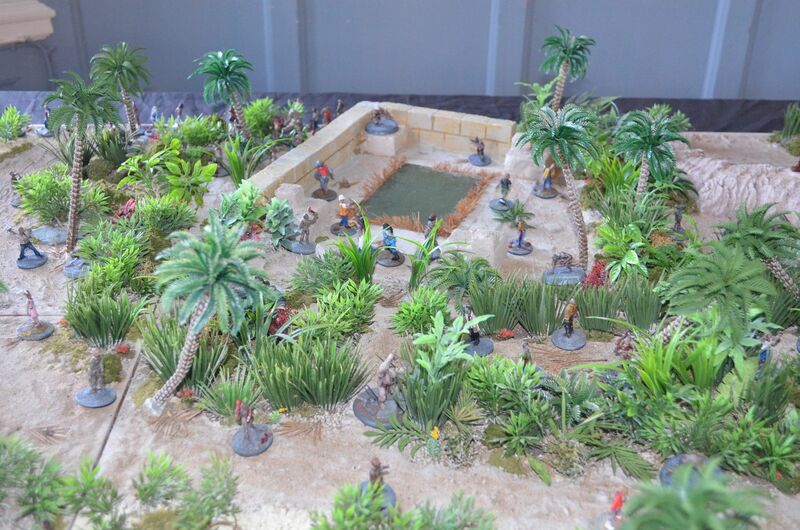 By now the Mahdists believing victory in their grasp launched an all-out assault from the village. 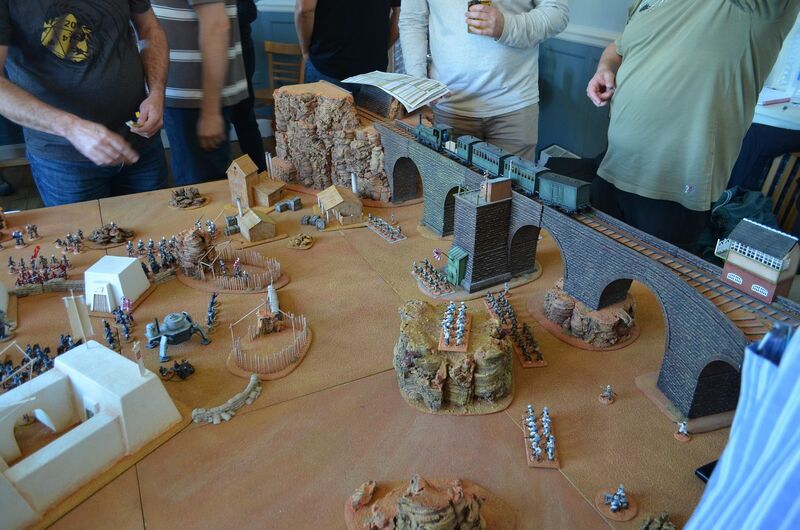 The defenders running forward to take on the British centre – the line held and supported by the rallied Lancers pushed back the desert horde. 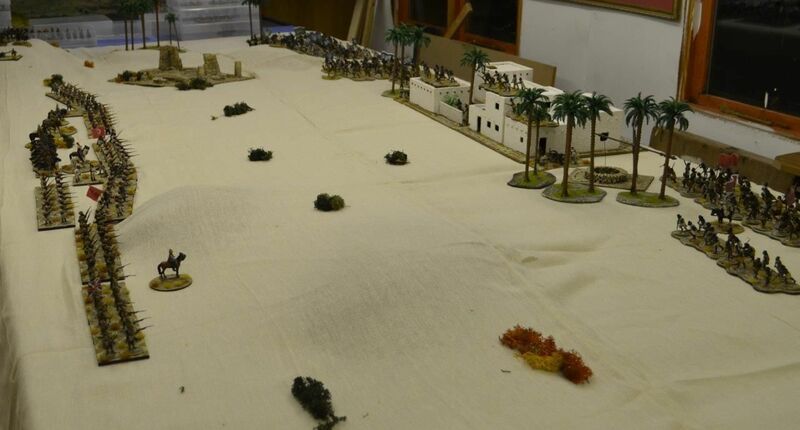 This final assault tipped the balance in favour of the Allies over 50% causalities inflicted on the forces of Allah – it had been a close run thing. 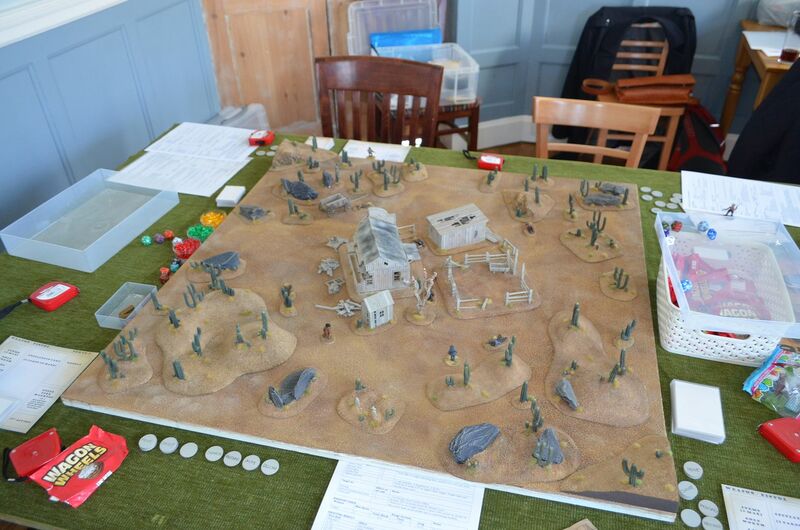 So what did we learn from the game given this was a playtest –firstly the forces were almost balanced if anything the British forces are slightly too strong so we will remove on of the Egyptian Rifle companies. 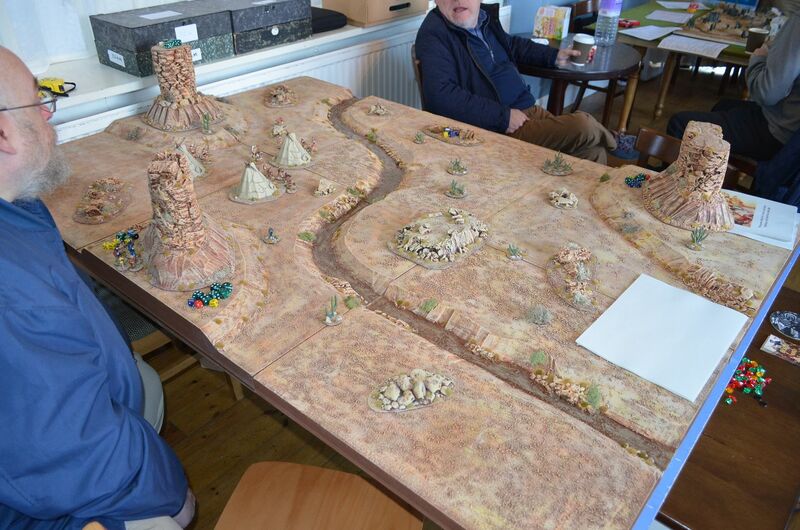 Aside from that I’ll allow each of the teams to reposition three units on the table. Mark felt that the Sudanese were too weak on the left and had a more balanced approach been in play he might have done better. 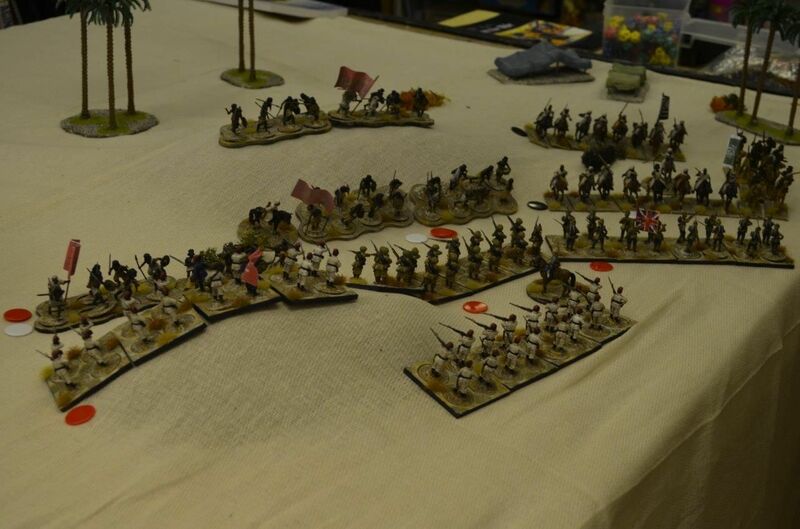 Equally my cavalry were in the wrong position and should have arguably been used better. 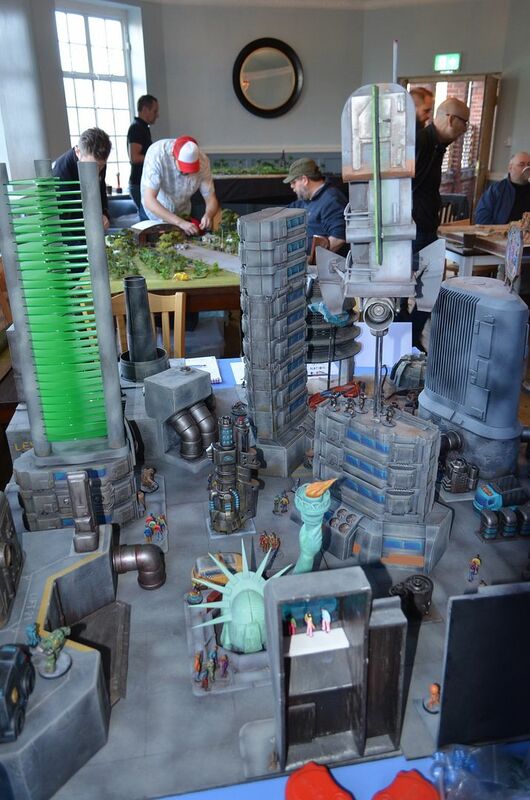 The same game is going to be played at BLAM on the Sunday (assuming I have any takers) and I’ll post up a short summary afterwards for comparative purposes.